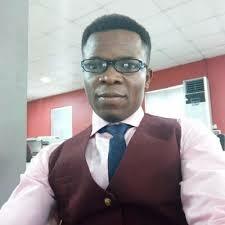 Nigerian journalist Frank Eleanya has won the APO Group invitation to attend Web Summit 2018, being held in Portugal this year. APO Group says it will offer one round trip ticket and accommodation in Lisbon for Eleanya, an online news editor to attend the Web Summit in Lisbon, Portugal from November 5-8. The Web Summit is the largest tech conference in the world with 1,200 speakers and over 70,000 delegates from 170 countries gathering for three full days of networking and business. Over 2,500 journalists from more than 100 markets attended Web Summit in 2017, including editors from many of the world’s most influential publications, as well as market-shaping industry reporters from leading technology trade publications and blogs. “APO Group congratulates Frank and is proud to offer this opportunity to an experienced reporter with a rich background. APO Group offers invitations each year to major African events as part of our commitment to supporting journalism in Africa and creating opportunities for journalists to learn and grow across Africa,” Nicolas Pompigne-Mognard, founder and CEO of APO Group said. For instance, the three previous recipients of the AfricaCom invitation were science journalist Aimable Twahirwa from Rwanda; journalist John Churu from Botswana; and journalist Lilian Murugi Mutegi from Kenya. In September 2016, reporter Aggrey Mutambo from Kenya, won APO’s invitation to attend the Africa Hotel Investment Forum (AHIF), the leading hotel investment conference in Africa. APO also sponsors the APO Energy Media Award and the APO Media Award, where a journalist wins $500 a month for one year, one laptop and one intercontinental flight ticket to a destination of his or her choice, as well as one year of access to over 600 airport VIP lounges. Web Summit is the largest tech conference in the world and each year APO Group offers journalists the opportunity to attend major events as a part of its commitment to supporting journalism in Africa.